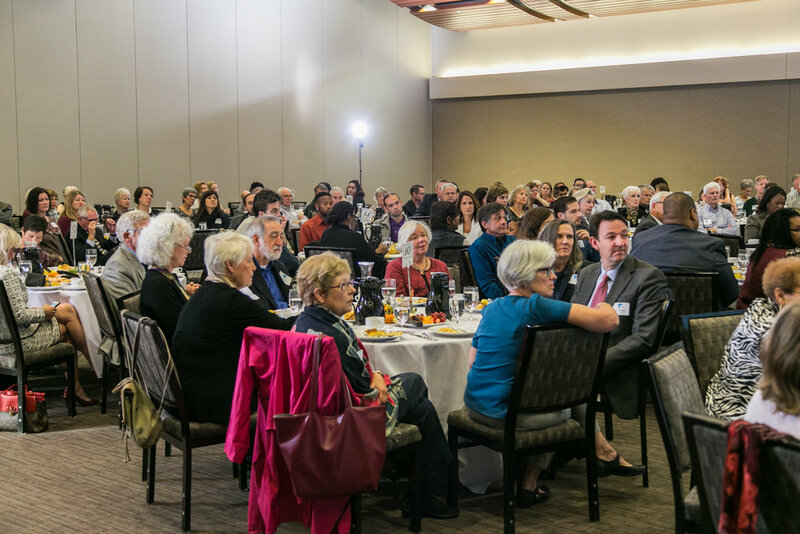 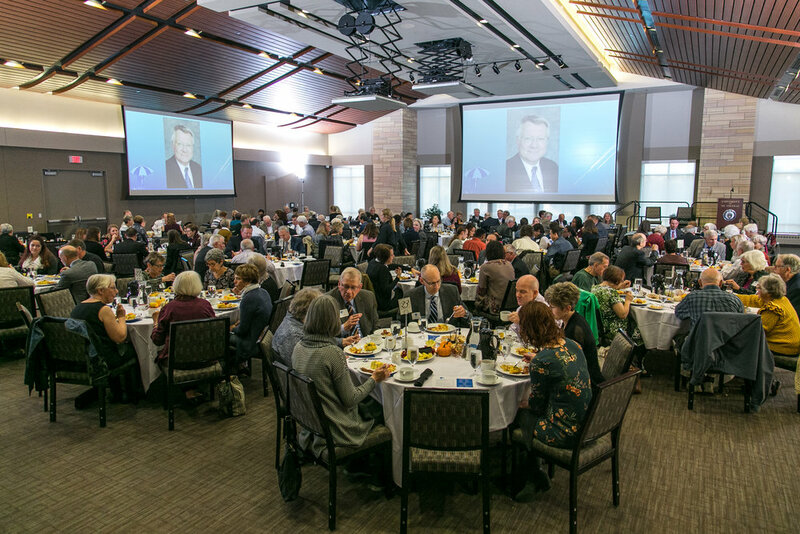 Thank you to all for helping us speak up for Minnesota's most vulnerable children and for giving generously at Our Annual Fall Fundraiser 2017! 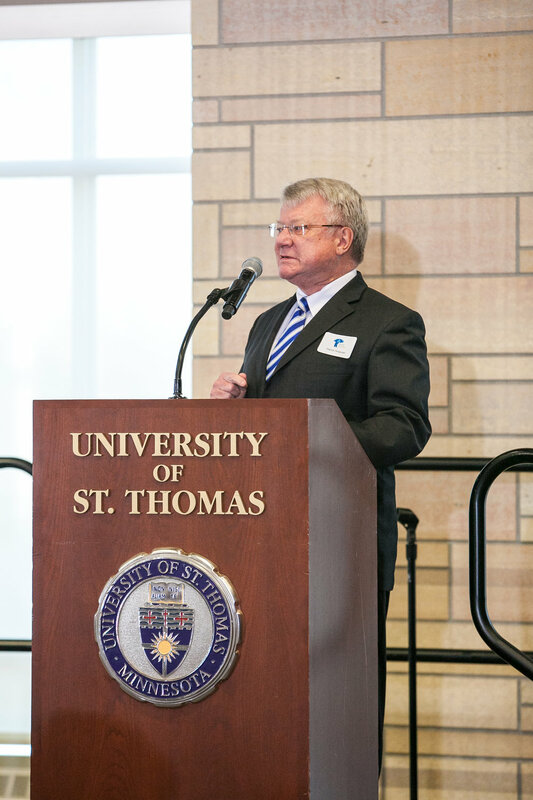 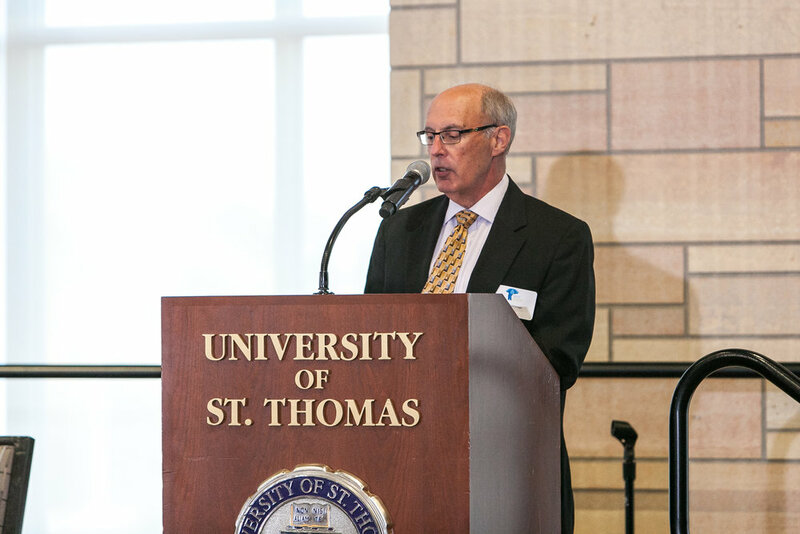 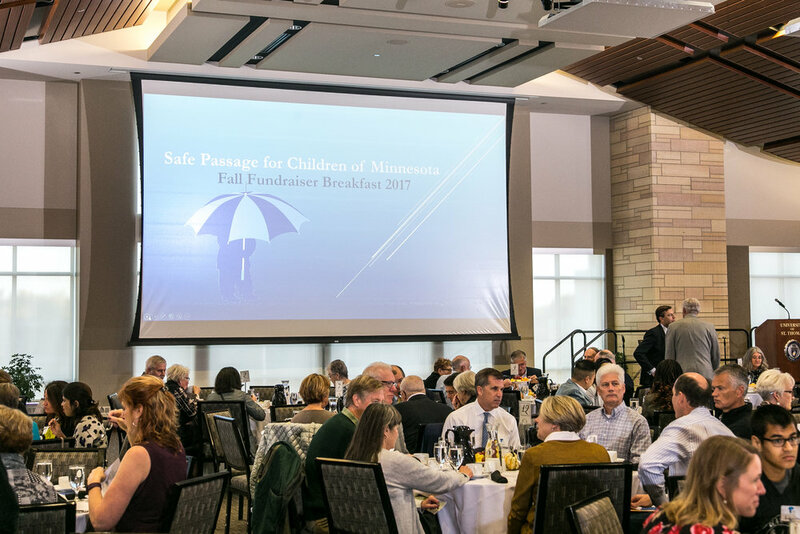 Safe Passage for Children of Minnesota's Annual Fall Fundraiser was on Wednesday October 18th at St. Thomas University's St. Paul Campus. 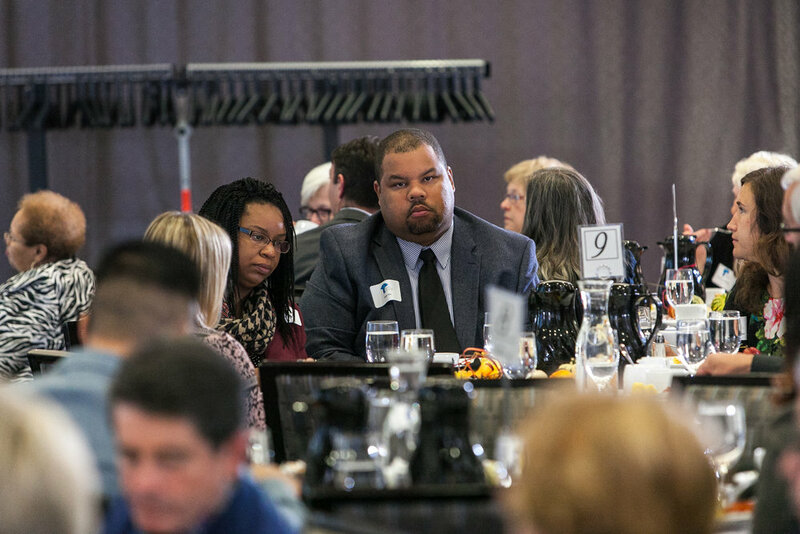 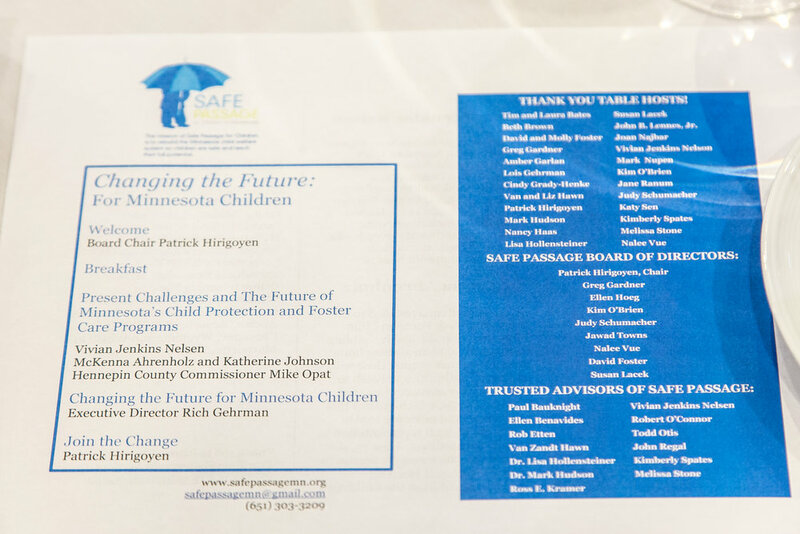 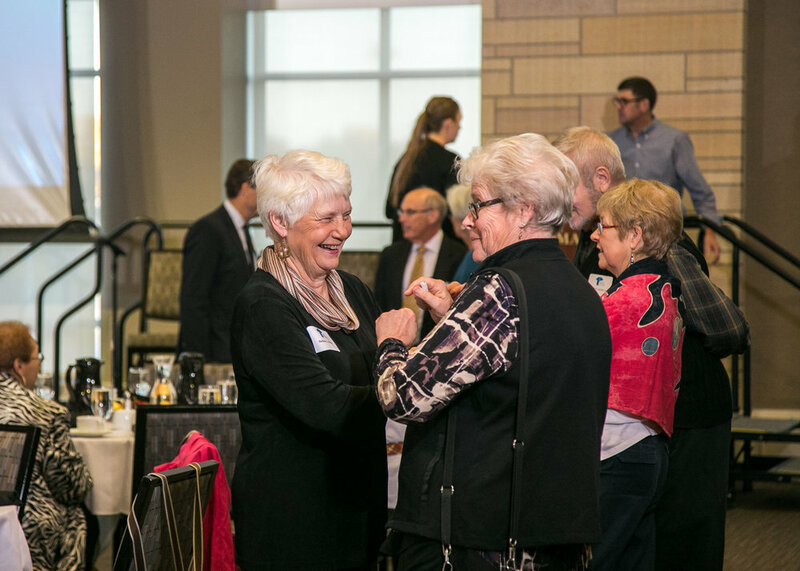 At the breakfast, attendees heard about exciting progress that has been made in the past year to protect children in Minnesota and how Safe Passage, with our volunteer child advocates, will continue to work to improve the lives of victims of abuse and neglect in the future. 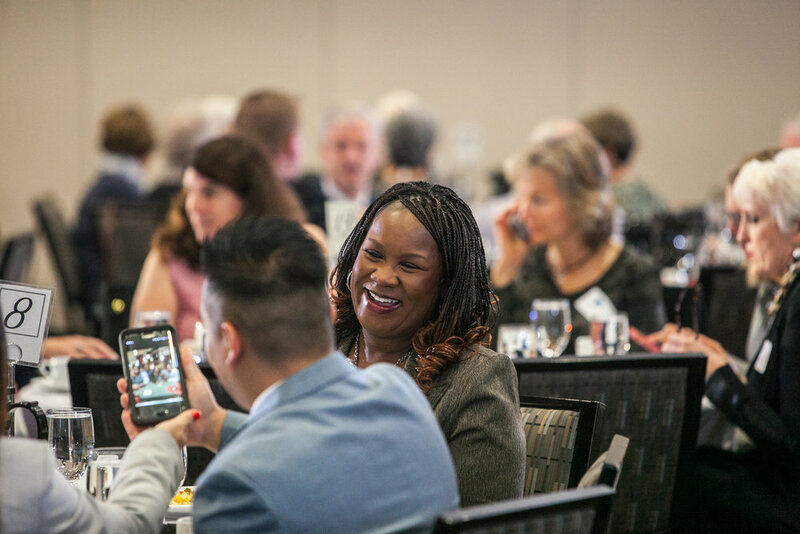 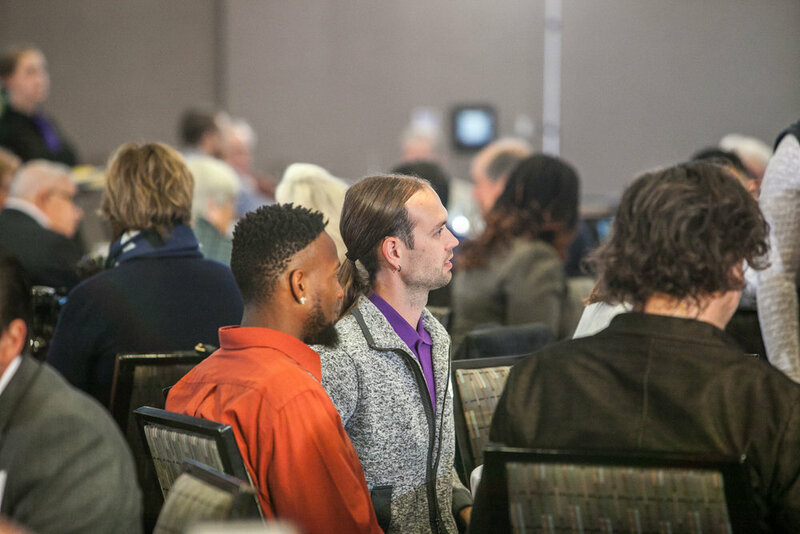 Featured speakers for the event were Hennepin County Attorney Mike Freeman and Vivian Jenkins Nelsen, founder of the African American Working Group on Child Protection and longtime adviser to Safe Passage for Children. 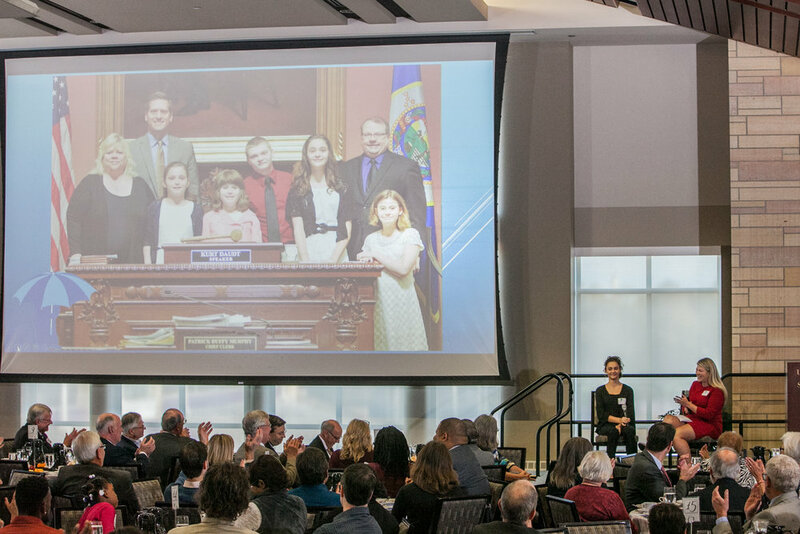 In addition the program featured a live interview by KSTP reporter Katherine Johnson of 13-year old McKenna Ahrenholz, who was the inspiration for McKenna’s Law, passed in 2017 by the Minnesota legislature. 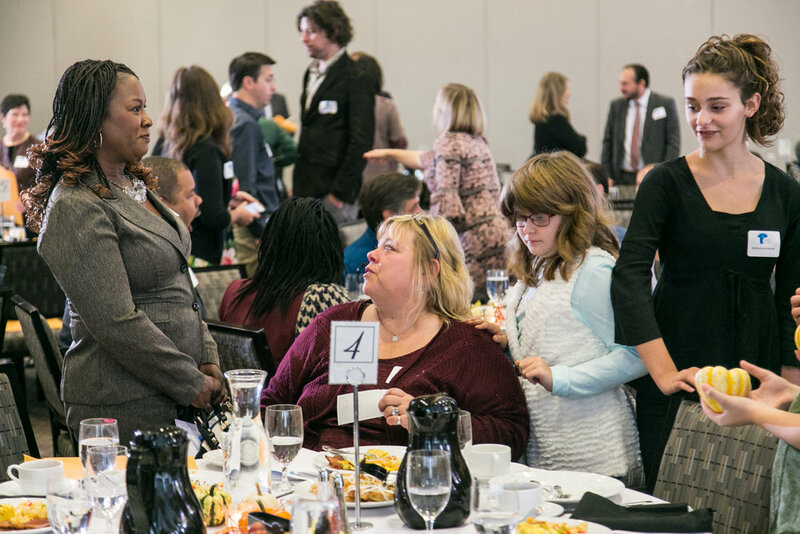 The law ensures legal representation for children in the child protection system who are 10 and older. 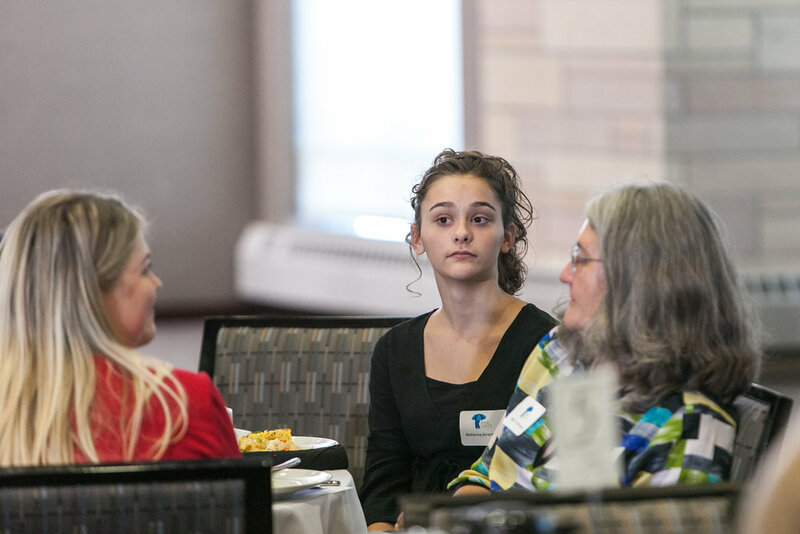 13-year-old McKenna Ahrenholz addresses the Safe Passage for Children of Minnesota fundraiser, Oct. 18, 2017. 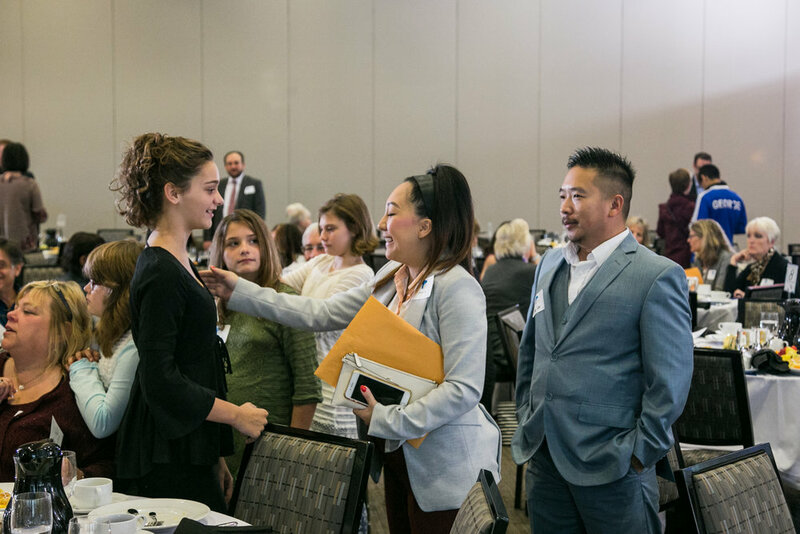 The event itself was free, with an opportunity to give donations of support at the end of the event. 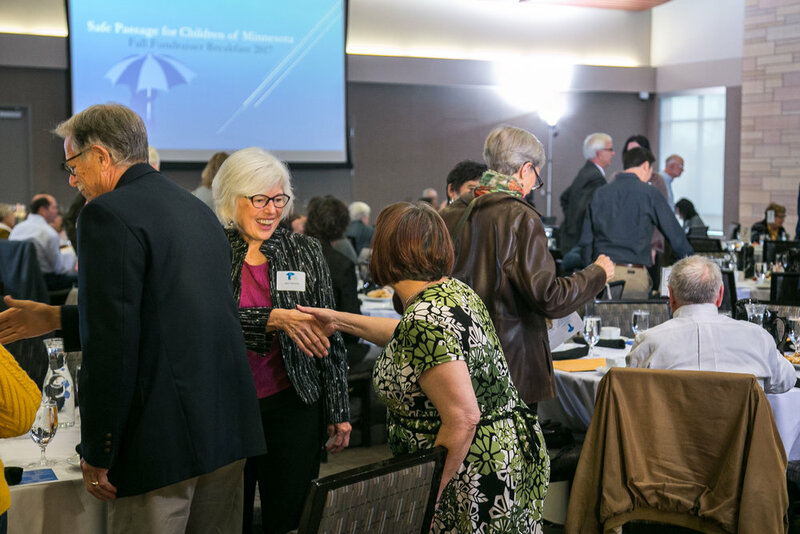 To find out about upcoming Safe Passage events and support our work, please Subscribe to our Newsletter.